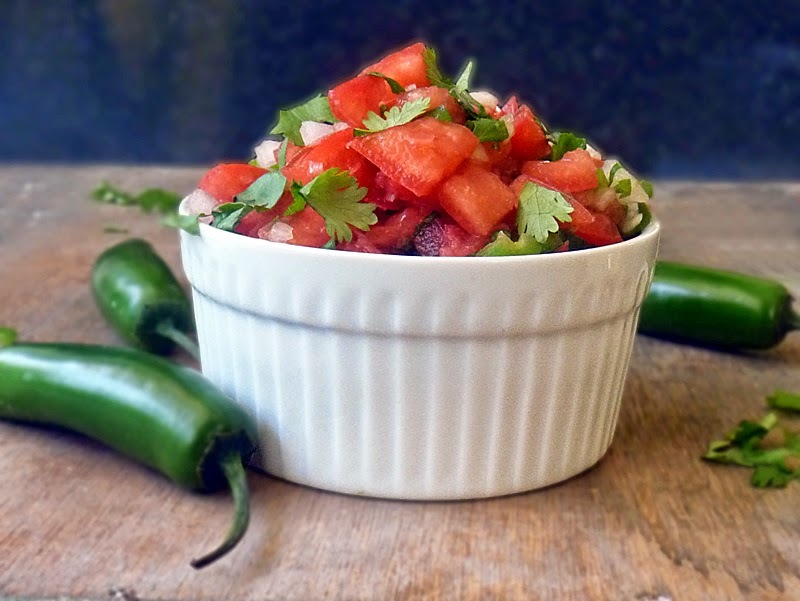 Homemade Tomato Salsa is about as simple to make as it gets and uses all fresh ingredients for maximum flavor. 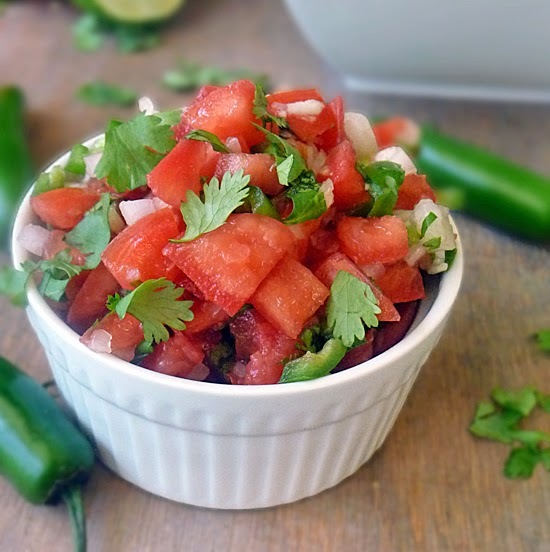 I was at our local vegetable stand and all the tomatoes looked so good, it got me craving this salsa and also gave me a great idea for dinner - Grilled Chicken with fresh tomato salsa, avocados and pepper jack cheese! Doesn't that sound amazing?! It's my Grilled California Chicken recipe and it is so easy to make and super tasty! Just about any fresh, ripe tomato will do, but I used Roma tomatoes because they looked and smelled especially wonderful. Please feel free to use the best looking tomatoes you can find. Although I give measurements in this recipe, you really need to just taste and adjust as you go. Use the recipe as a guide and make this to your specific tastes. There really is no right or wrong way as long as you LOVE it! Then use the salsa to top just about anything or sit down with a big bag of chips and enjoy! Combine all ingredients in a bowl and mix well. Taste as you go and adjust the flavors as needed. I recommend refrigerating before using to allow the flavors to mingle and intensify. Enjoy! 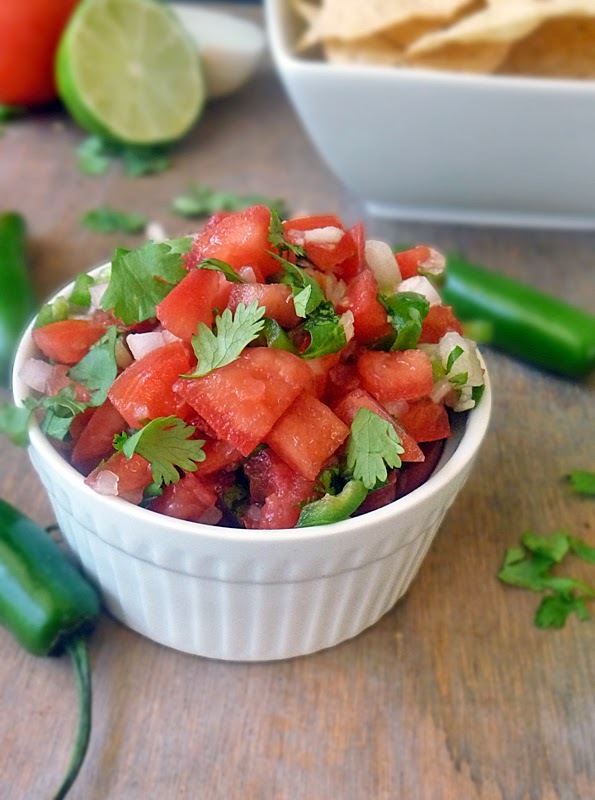 We make homemade salsa all summer long and I am with Don, it is so hard to eat store bought once you have had homemade! Looking forward to trying your recipe! I agree! Homemade really is the only way to go! Thanks for stopping by Michelle! I love homemade salsa. We have one store that supplies decent store bought stuff, I buy that if I'm in a crunch. I really prefer to cut up my own. I'm with you Lydia! I'll buy store bought if I can't get my hands on good tomatoes. Thanks for stopping by! YES!! Thanks for stopping by Jessica! I love making my own salsa. Yum! Me too! I love how versatile it is too! Sometimes I'll put it in the blender and give it a whirl to make it less chunky, but mostly we like our salsa chunky! 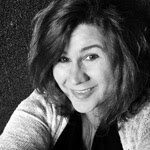 Thanks for stopping by my blog today Brandy!